The "clean eating" trend has inspired a back to basics approach in product development; food producer feels the pressure to find clean-labeling ingredients to protect food shelf and stability. Fungal, duckweed and plant-sourced ingredients are a perfect fit for the trend toward clean and healthy eating with antimicrobial activities and enticing flavors that have long been consumer favorites. Plantéria™ is natural water-soluble extract derived from fruit plant (e.g. citrus fruit, raisin that contains a group of GRAS ingredients of glycerine, bioflavonoids, polyphenols and ascorbic acid, and is mainly used as a multi-hurdle antimicrobial in a variety of foods. Mushria™ is a pleurotus extract that contains water-soluble polysaccarides, rich in chitosan and enzymes. It has a broad-spectrum antimicrobial activity, as well as clarification and antioxidation when applied in foods. Duckweeria™ is a natural flavonoid extract from Spirodela polyrrhiza. 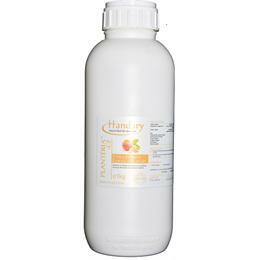 It is mainly used for inhibiting Norovirus and pathogens in seafood products. Plantéria™ /Mushria™ /Duckweeria™ are a group of natural (Plant, Mushroom and Duckweed) extracts mainly used to inhibit total plate count in a variety of foods, distributed in EMEA and Asia.